Missouri juries have awarded $127 million in state talc-cancer cases this year, with more potentially to come, while New Jersey, a hotbed of talc-cancer litigation itself, recently threw out two similar cases. Why the disparity? According to a legal expert interviewed in a recent Forbes article, it may be fundamental differences in expert witness admissibility. “Missouri takes a much more laissez-faire approach to expert testimony, giving much greater deference to the jury,” the Forbes article quotes Locke Lord’s George Talarico as saying in response to why New Jersey state court Judge Nelson Johnson disallowed expert testimony in a New Jersey talc-cancer case, while similar testimony had played a key role in Missouri trials. “New Jersey judges are obligated to take a more stringent approach, which is exactly what Judge Johnson did in his thoughtful opinion,” the Forbes piece quotes Talarico explaining. The experts excluded by Judge Johnson in two New Jersey talc-cancer suits were permitted to testify in Gloria Ristesund’s 2016 Missouri trial against Johnson & Johnson, despite J&J’s objections. Jurors ultimately awarded Ristesund $55 million, including $50 million in punitive damages, after Drs. 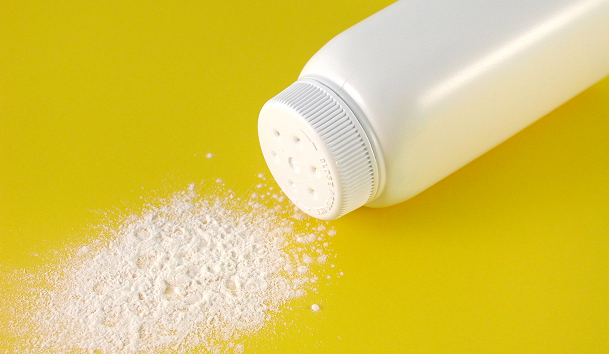 Graham Colditz and Daniel Cramer detailed their opinions on the epidemiological link between talc and ovarian cancer. That verdict followed a $72 million award in Missouri’s first talc-cancer trial, month’s earlier. By contrast, the exclusion of the two experts in the New Jersey cases, on grounds that their opinions were not sufficiently rooted in science, led Judge Johnson to grant J&J’s motions for summary judgment. Beyond it's evidentiary rules, Missouri's more favorable procedural rules and a state law that allows out-of-state plaintiffs to piggyback their claims with those of local residents, as outlined in this Bloomberg Law piece, have helped put the state at the epicenter of talc litigation. Missouri and New Jersey state courts have more than 1,200 talc-cancer cases pending between them. Missouri’s third state court talc-cancer trial, Giannecchini v. Johnson & Johnson, is in now in its third week, and is being webcast gavel-to gavel by CVN, which also recorded the Ristesund trial. Read Bloomberg Law's piece on St. Louis' popularity in litigation. Watch Giannecchini v. Johnson & Johnson live and on demand. Read more about the Giannecchini trial. Watch Ristesund v. Johnson & Johnson on demand. 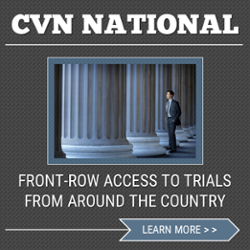 Learn how you can watch gavel-to-gavel coverage of critical talc litigation, as well as other key product liability trials across the country.